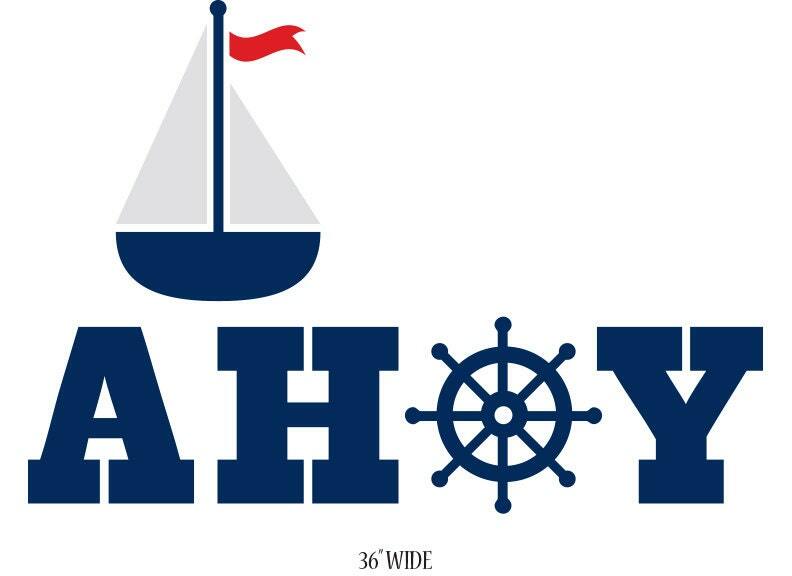 We have many prints that go with this decal, Browse and Save with combined Shipping. You can customize this with any color from our color chart. 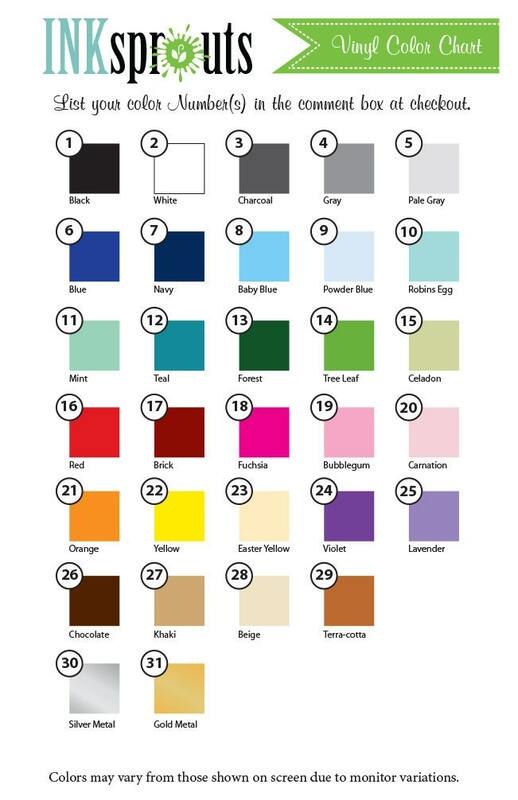 List your color Number(s) in the comment box at checkout. Like this, but it's not quite right? Contact us. 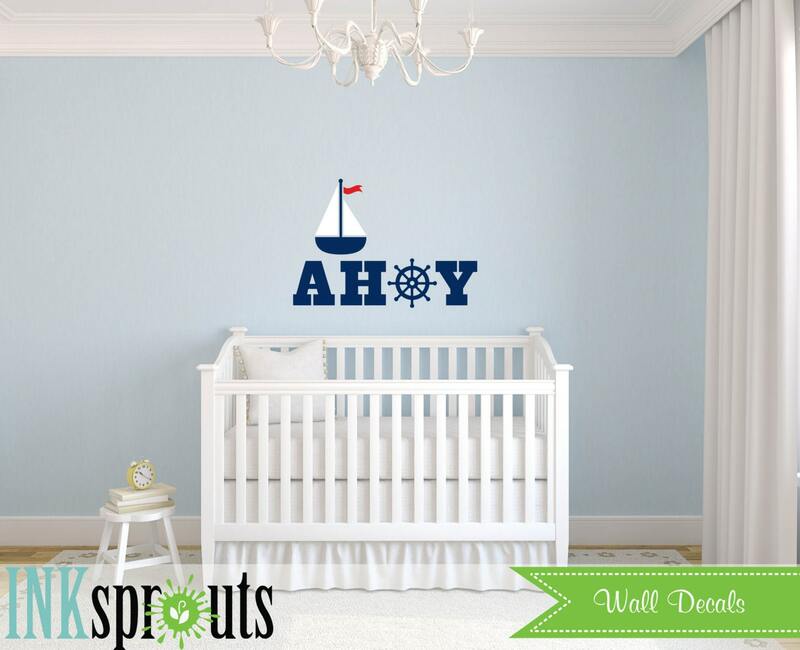 We would love to create a custom design for your little sprout! Small decals under 11 x 14 will be shipped Flat, all over will shipped rolled. INTERNATIONAL- Decals are ship within 10 days (Monday - Friday), excluding holidays. Your new decal is cut from very thin High Quality Matte vinyl film. Decals need smooth clean walls to adhere properly. Decals may not Bond to Zero "VOC" (also called "green" / "environmentally friendly") Paints. We have an install guarantee, if you experience any problems with your decal contact us. We only require a photo of the failing decal and a full refund will be issued.